You'll be £14.95 closer to your next £10.00 credit when you purchase Five Four Whiskey. What's this? Taking its title from the nighttime radio code call and response between base camp and those on ambush patrol, Five Four Whiskey: A Memory of War by Robert Sweatmon is a moving account of life as a combat soldier in the Vietnam War. Set mostly in the sprawling woods and rubber plantations northwest of Saigon, the author explains what his unit was asked to do and what obstacles they faced, including an elusive but deadly enemy, booby traps, and antitank mines. The author, a notable television personality following the war, does not sensationalize his account; rather, his book allows a new generation to under- stand the emotional and physical pressures of the times. Coming of age in the maelstrom of civil rights and the free love culture, the author and his fellow soldiers saw their idealism quickly vaporize in the face of the grim realities of war. Here they learned to compartmentalize their lives as a way to survive, but it was their strong bonds that ultimately kept them from succumbing to the madness that surround- ed them. Kept in the field for almost the entire time of his tour, the author was in a unit selected to conduct a clandestine reconnaissance in Cambodia and then lead the 1970 invasion, where he was wounded. Following his convalescence, he was sent to Nui Ba Den, the fabled ghost mountain haunted by the spirit of a Vietnamese princess, until he received his papers that he had completed his combat service. At that moment, his year-long mental wall between soldier and civilian fell away as he counted the last terrifying hours before he was safely out of Vietnam. 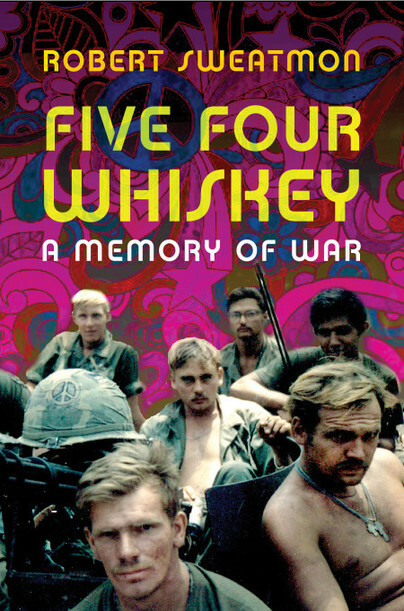 A tour-deforce of military memoir, written in an objective and often literary prose, Five Four Whiskey perfectly captures how ordinary civilian-soldiers survived an ordeal set in one of the most turbulent times in American history.